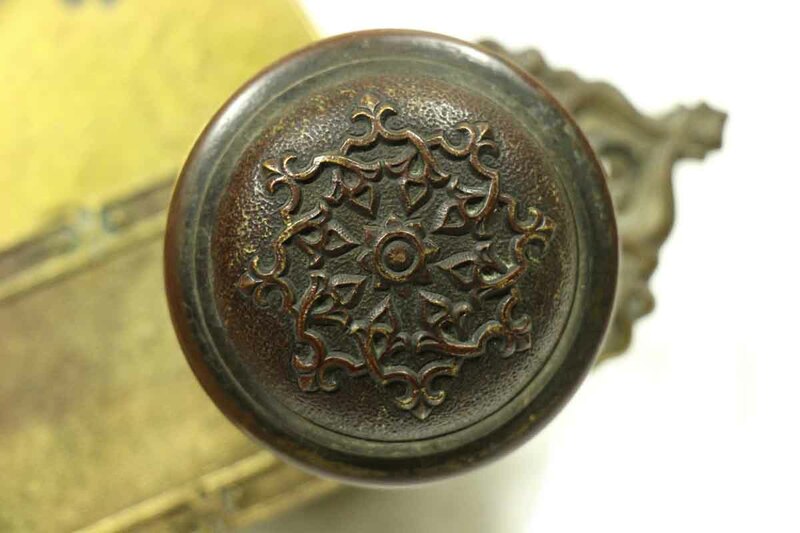 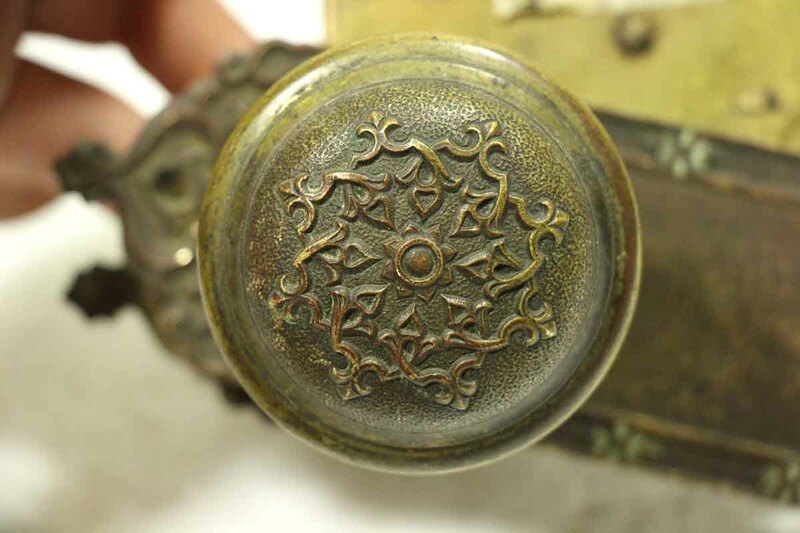 This ornate Russell & Erwin set shows some a little sign of wear, but is in working condition. 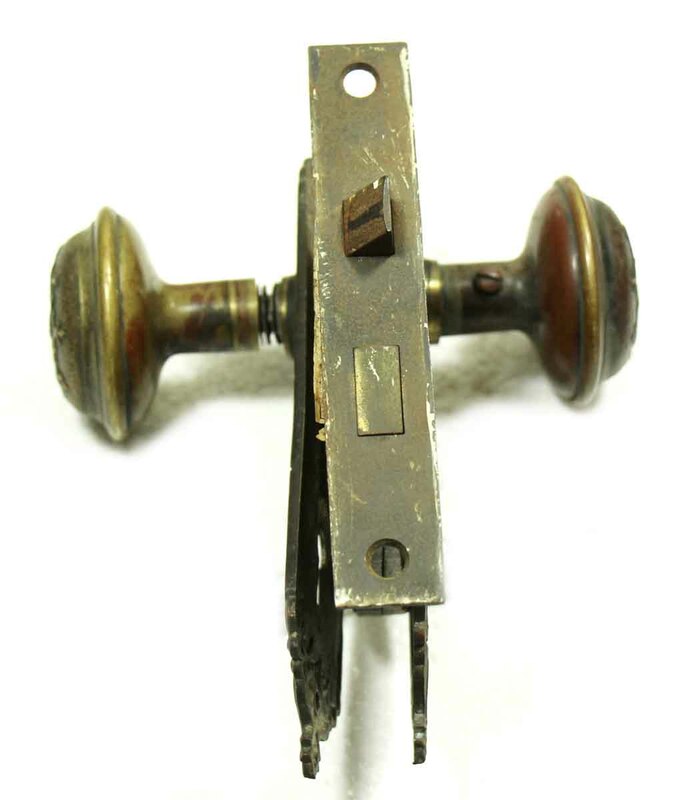 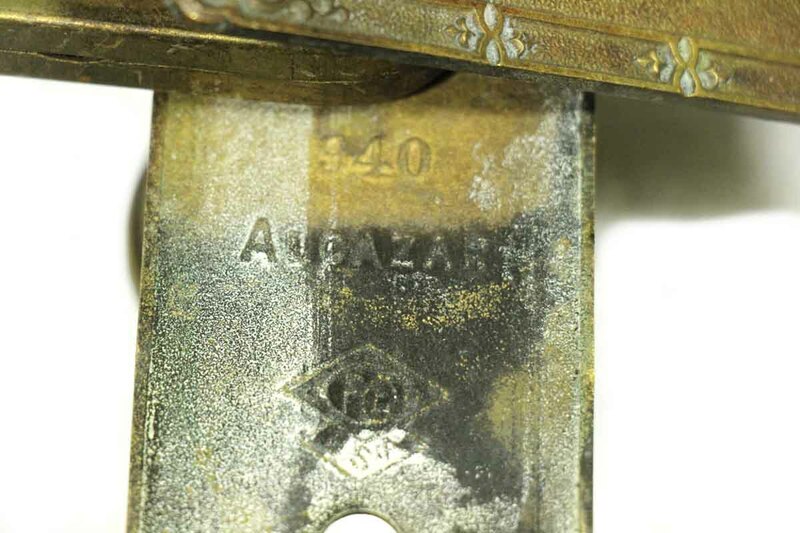 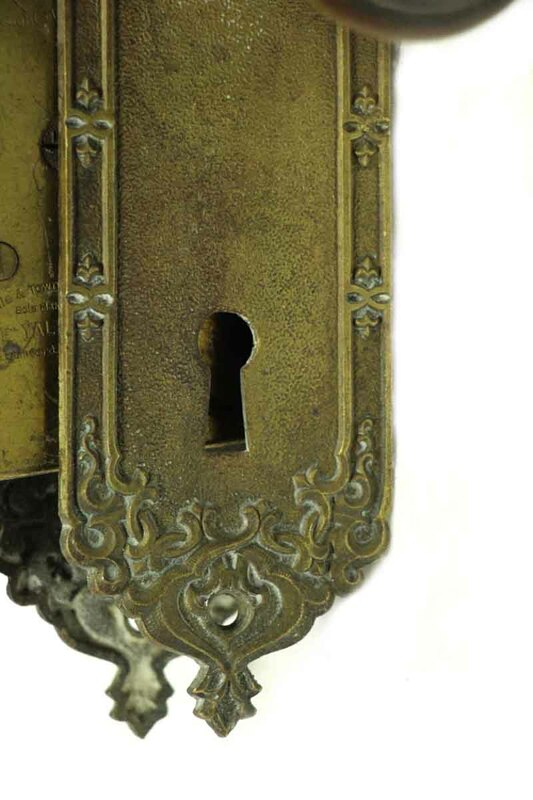 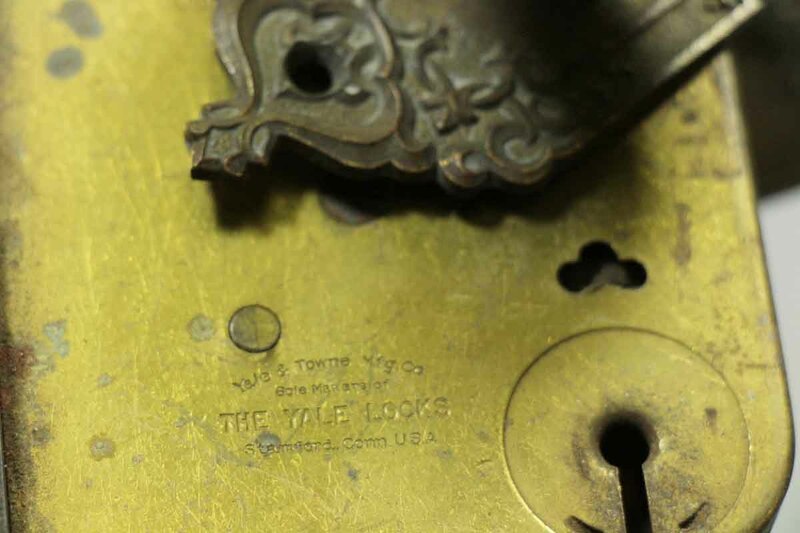 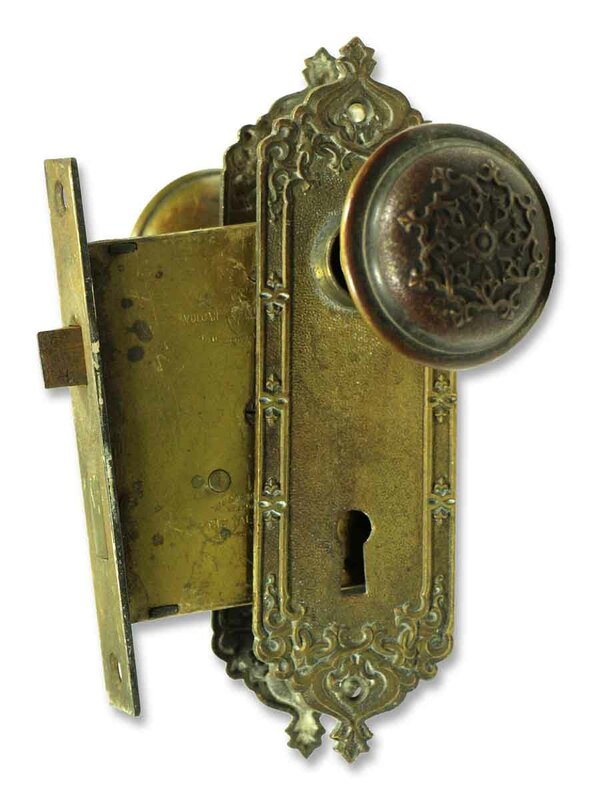 The set comes complete with mortise lock for installation, a pair of doorknobs and two back plates. 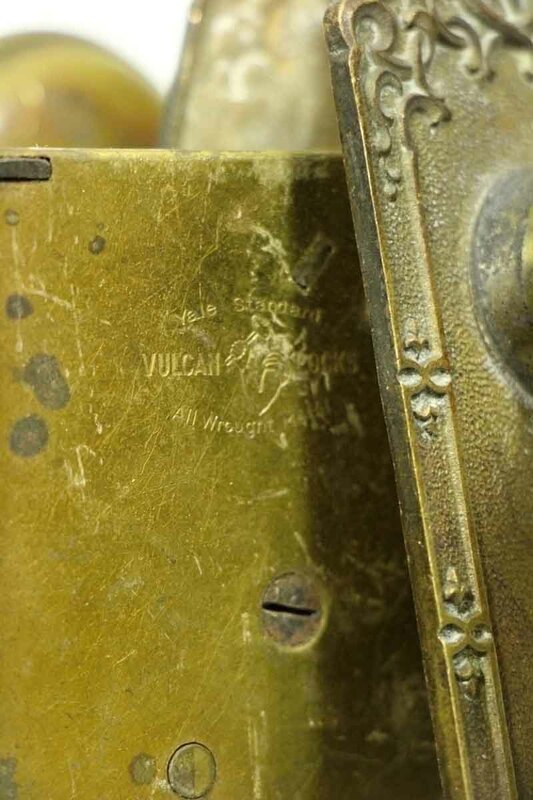 The set has the original patina remaining for your restoration project.